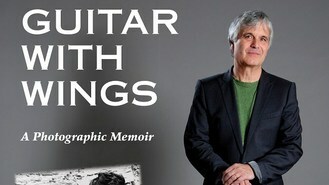 Guitar With Wings: A Photographic Memoir is on sale today, published by Dalton Watson Fine Books. The book was written by Grammy Award-winning Laurence, 61, and music historian Marshall Terrill and recounts the Stepney-born guitarist's five-decade career. The 250-plus page work includes more than 200 previously unpublished images including Laurence, Sir Paul and Wings. "Contrary to my expectations that the Wings era would be absorbed into the general arc of Paul McCartney's career, interest in the band itself has continued to flourish and I recognised that I had a unique perspective to offer," Laurence, who now lives in California, said. He said he wrote about on and off-stage moments of his time with Sir Paul, including recording sessions and the former Beatle's 1980 marijuana arrest in Tokyo. Sir Paul, who is on tour once more in Japan, has cancelled several Tokyo concerts in recent days due to a virus.